PanAust also ensures the economic and social benefits of its operations are shared with key stakeholders in Laos, including the government and host communities, through employment, training and development, and a broad range of community development programs. In addition to its operations, PanAust holds a portfolio of development and exploration projects in Laos and Chile. The company has also entered into a share sale and purchase agreement with a subsidiary of Glencore Xstrata for PanAust to acquire Glencore’s interest in the Frieda River copper‐gold project in Papua New Guinea. 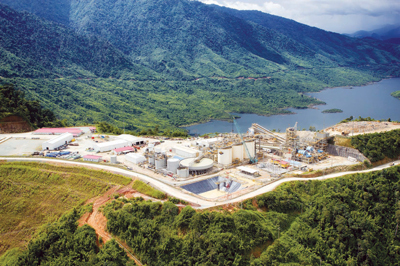 The Phu Kham operation comprises a large open-pit mine feeding ore to a process plant with recovery of copper and precious metals into a saleable concentrate using conventional flotation technology. The final product is a copper-gold concentrate grading about 22% to 25% copper, 7 grams/metric ton (g/mt) gold and up to 60 g/mt silver. Concentrate is trucked in covered containers to Sriracha Harbour south of Bangkok in Thailand or to the South China Sea port of Vung Ang in Vietnam. 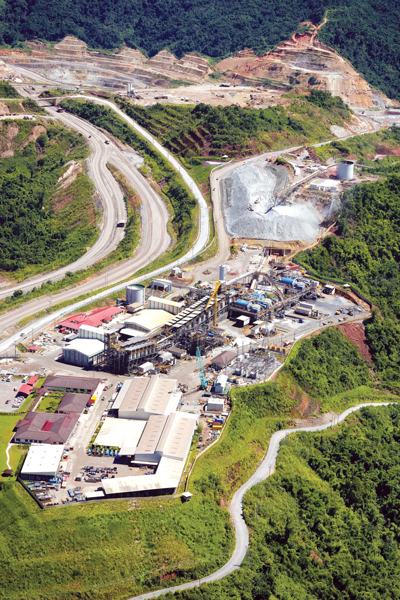 The significant cash flow generated by Phu Kham since commencing production in 2008 has supported PanAust’s growth and success, and contributed to the company’s strong balance sheet. Managing Director Gary Stafford has been at the helm of PanAust for almost two decades and has overseen its successful rise. Originally in the Southeast Asia region scoping out a copper project in northern Thailand, Stafford explained that PanAust looked elsewhere to see whether there were any complementary projects it could work on as it was experiencing difficulties getting the Thai project off the ground. “We did some research on opportunities in Laos, Vietnam and Malaysia, and we became aware of an opportunity in Laos where land access seemed more straight forward; there was already an agreement with the government that had been originally negotiated by a joint-venture between Normandy Mining and Anglo American,” he said. PanAust understood enough from the data that there was potential at Phu Kham, and, although copper prices at that time were low, research revealed some gold grades in the upper levels of the copper deposit that presented PanAust with a starter opportunity that eventually flourished to where it is today. The Phu Bia contract area, which comprises the two operating mines and several other prospects. The Phu Kham process plant had an original annual design capacity of 12 million mt/y and was upgraded in mid-2012 to 16 million mt/y through the addition of a second 13-MW ball mill and additional flotation capacity. Improved recovery rates were achieved during the September 2013 quarter following commissioning of the Increased Recovery Project, and were maintained during the December 2013 quarter with recovery rates consistent with the mix of transitional ores processed. 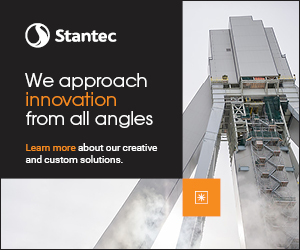 “In the last 24 months, we’ve expanded from the initial capacity to 16 million mt/y and already we’re operating at more than 18 million mt/y, and we think we can go higher still—now we’re really beginning to test some of the equipment in the plant,” he said. “When it was first installed it had lots of overcapacity, we had to make certain assumptions about how far we could push that equipment, and were finding that with good management we could get more out of the equipment. We’re a bigger operation these days. “The reason we expanded the plant was because the scheduled grade of the ore body fell from the early years when we had a lot of near-surface transitional ore, which was partly oxidized and the grade had been slightly enriched. It was difficult ore, it was not easy to recover the copper and gold from it, but it was quite high grade. “This year, our grade is at the lowest it will be for the life of the mine with a higher strip ratio. We wanted to make sure that when we entered this phase we had the expansion built,” Stafford said. In October 2013, PanAust announced a revised life‐of‐mine plan for the Phu Kham operation based on a new resource model, additional processing capacity and improved recovery performance provided by the upgrade completed in 2012, and the Increased Recovery Project completed in 2013. From 2015 to 2019, scheduled increases to head grade will lift copper-in-concentrate production to peak annual levels of around 90,000 mt in 2018 and 2019. Gold grades are forecast to be variable for production in the range of 60,000 to 80,000 oz of gold-in-concentrate through to the end of this decade. Phu Kham ended 2013 with strong final quarter production and cost performances. Copper-in-concentrate production for the full year of 64,885 mt was at the upper end of the guidance range (62,000-65,000 mt) and gold-in-concentrate production of 71,223 oz was higher than scheduled. Weaker precious metal prices than those assumed for guidance during the quarter resulted in full year C1 cash costs of $1.36/lb, which was just above the guidance range. All-in sustaining costs for Phu Kham during 2013 were $2.37/lb. “Now looking forward, the grade-profile from the end of this year onward starts increasing, the strip-ratio starts falling again, and by the end of this decade, we should be producing well more than 90,000 mt of copper without any further capital investment. 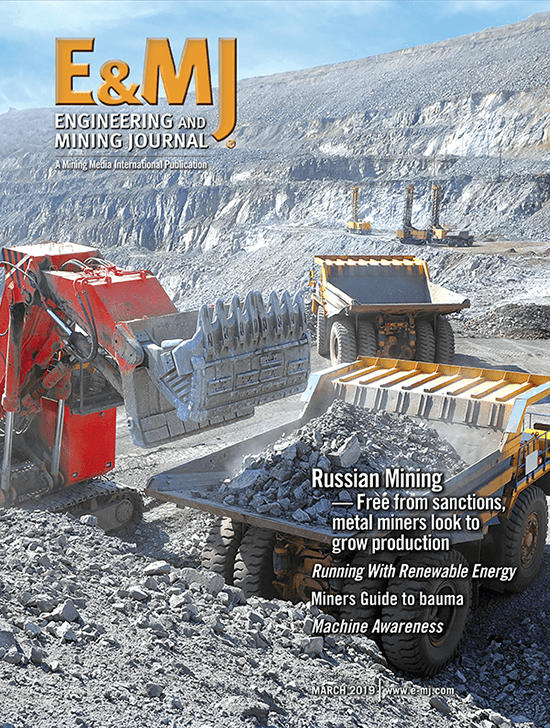 “As far as I know, we are the only mining company that has a plan to increase copper production by about 40% without the need for any further capital expenditure,” he said. PanAust is one of the first base-metal companies to report costs on an all-in sustaining basis, which provides a clearer picture of cash costs. View of the open pit at the Ban Houayxai gold-silver project. Laos is a high-priority target for PanAust’s exploration and resource development. The most advanced project is the KTL copper-gold project in the northern part of the company’s contract area. An options analysis for the project has shown that the low‐capital option of mining and crushing discrete high‐grade copper‐gold zones then trucking 1.5 million mt/y of ore over a four- to seven-year period to Phu Kham for processing is the most economically favorable. Under the trucking option, high‐grade KTL copper mineralization will either augment the feed to the Phu Kham SAG mill, which has a nominal capacity of 20 million mt/y, or processing the lower grade Phu Kham ore will be deferred. 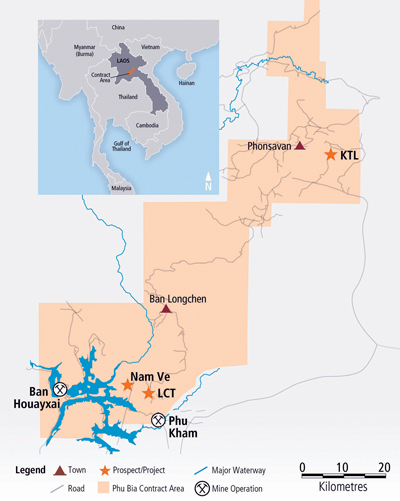 The highly prospective Phu Kham district hosts several exploration targets, including the LCT deposit and Nam Ve prospect. An aerial view of the Ban Houayxai process plant with Nam Ngum Reservoir in the background. Laos, a single-party socialist republic, has seen an expansion in the mining and hydro-power sectors in recent years, both of which have driven economic growth. Phu Bia Mining has a Mineral Exploration and Production Agreement (MEPA) with the Lao government that regulates exploration and mining within the Phu Bia contract area, which covers an area in excess of 2,600 km2. With its stable government, ready access to power, water and roads, and the MEPA, Laos provides an excellent operating environment for PanAust. Stafford said the company has built strong ties with the government and has worked with the local community around Phu Kham and its other projects to improve living conditions. Central to the company’s operating philosophy is a desire to make a positive impact on its host communities. PanAust’s business development program in Laos benefits local communities and, in particular, female entrepreneurship amongst three ethnic groups and literacy through company-sponsored training and access to microfinance credit. During 2012, PanAust’s microfinance scheme—the Village Savings and Credit Fund—provided more than $210,000 in loans, and collected savings deposits of close to $138,000 for its 743 members. Additionally, PanAust’s small community business initiatives generated revenue in excess of $768,000 for local families comprising local production of vegetables, drinking water, cloth bags, fruit and fish. It saw the company snare several international awards, most recently the 2013 Sustainability Leadership Award at the Asia Mining Congress in Singapore. “It’s amazing when you go up there now seeing the market gardens,” Stafford said. “When we first went there, the villagers had no cash in the economy and they were principally making a living based on rice. Occasionally, the rice yields were too low and the U.N. World Food Program went to top it up. They had chickens, a few pigs and caught a few fish, but that was about it. Through the microfinance scheme, we support the villagers in producing food for the camp. PanAust’s success in Laos can also be attributed to its strong relationship with government. The company takes a responsible approach to initiatives implemented as it represents a large part of the business community. 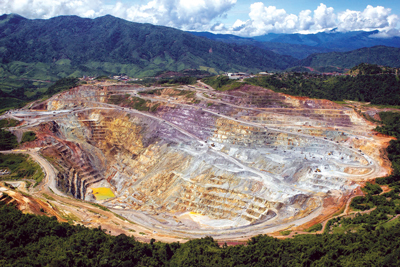 The open pit at the Phu Kham copper-gold project. Earlier this year, Stafford announced plans to step down as managing director after being the driving force behind the success that has seen PanAust evolve from a junior explorer into a producer with a market capitalization of $1.1 billion. 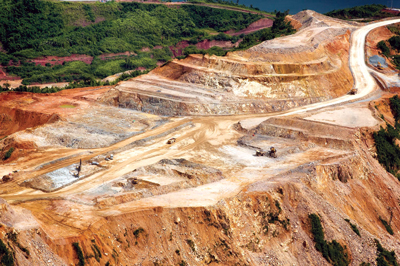 The company has achieved a steady rate of production at Phu Kham and has determined the mine’s future. Drawing on its experience in Laos, PanAust has two prospective projects in the pipeline—the Inca de Oro project in Chile and the Frieda River project in Papua New Guinea—and it plans to build mines at one or both of those projects in due course. Looking back, Stafford is proud of PanAust’s achievements in Laos and believes he is leaving the company in great shape. “We’ve got two great operating assets in Phu Kham and Ban Houayxai with a highly motivated workforce at both sites, plus a capacity to build projects, which is unique amongst companies of our size. “We’ve also got people with the skills to continue to research and ride the waves of approvals with the operations we have, and we are keenly looking at improvement initiatives. We’ve got a safety record that is second-to-none and our outstanding sustainability track record is proven through various international awards. “Looking ahead, we’ve got two great opportunities in PNG and Chile. The planned acquisition of a majority interest in the Frieda River project in PNG remains subject to conditions precedent, including Chinese approvals for the merger between Glencore and Xstrata, but I think that will all fall into place. “In Chile, we have a 60.45% interest in the Inca de Oro copper-gold project in a joint venture with Codelco. A feasibility study for that project is scheduled to be completed midyear. “I think that’s a great legacy for the company—we’ve got the resource-base to survive and grow in the future. Now, the company needs someone to come in and implement strategies—there’s no need to turn the company around. I feel happy that the company is in good hands with the current management team, we’ve just got to find the right person to take over from me.